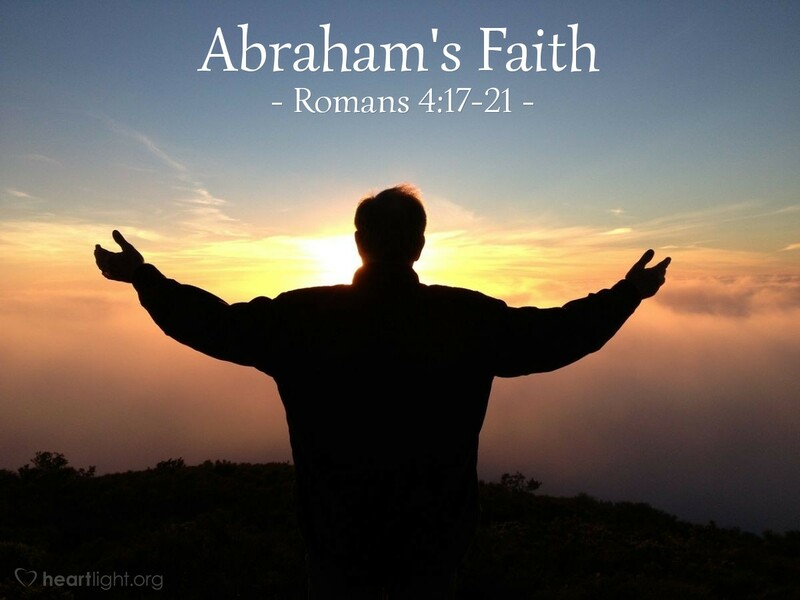 Thank you that Abraham's faith was held up for us to see. He became the father of us all because you said to him, "I will make you the father of many nations." You are the God in whom he believed, hope against hope, that he would become the father of many nations, as he had been told, "Your descendants shall be as numerous as the stars, and like grains of sand on the beach." You are the God who gives life to the dead and calls into existence the things that do not exist, so Abraham did not weaken in faith when he considered the age and deadness of his own body and the barrenness of Sarah's womb. O that I could be like him! No distrust made him waver concerning your promise. He grew strong in faith and gave you glory, fully convinced that you were able to do what you had promised. I want to be like him! In the name of Jesus I offer myself and my faith to you. Amen.